We had a Chalk-a-holics meeting in November, but I haven't been able to post pictures of our projects until now. 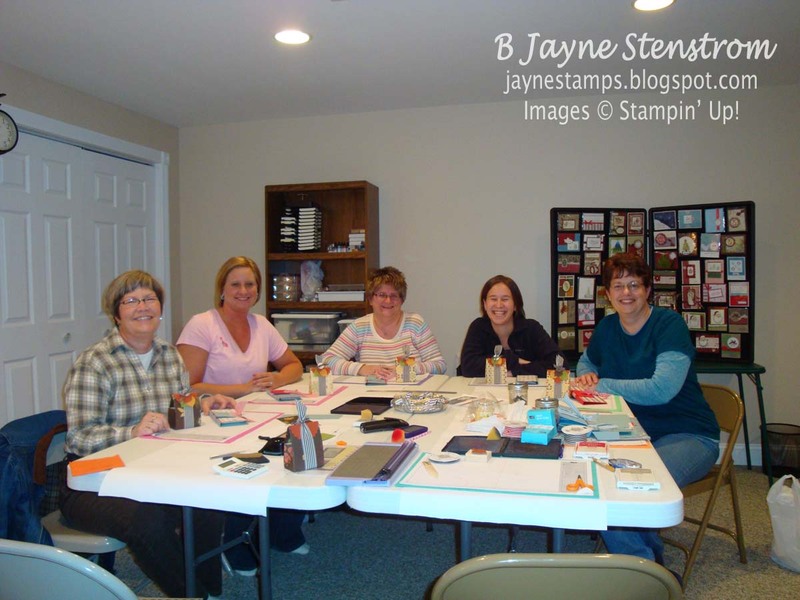 We always have so much fun getting together and stamping and creating! 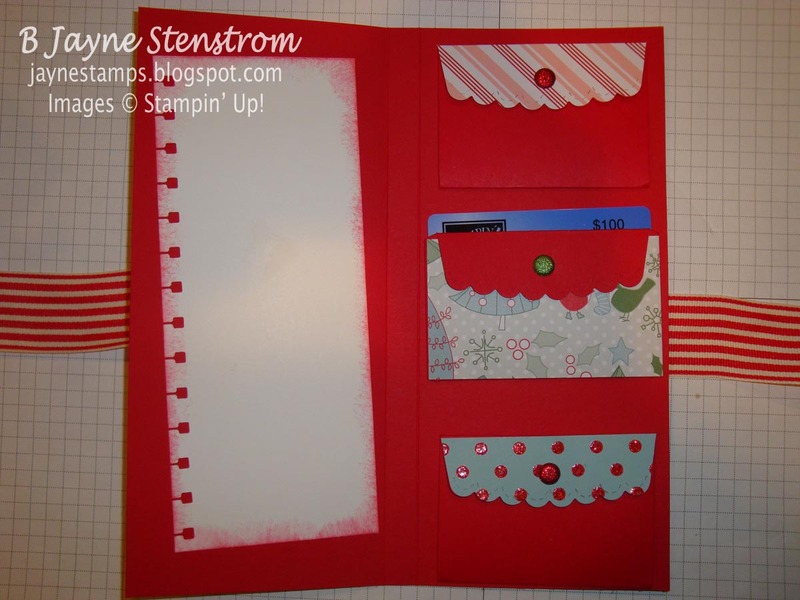 You should join my Stampin' Up! group and you could stamp with us too! We'd love to have you! 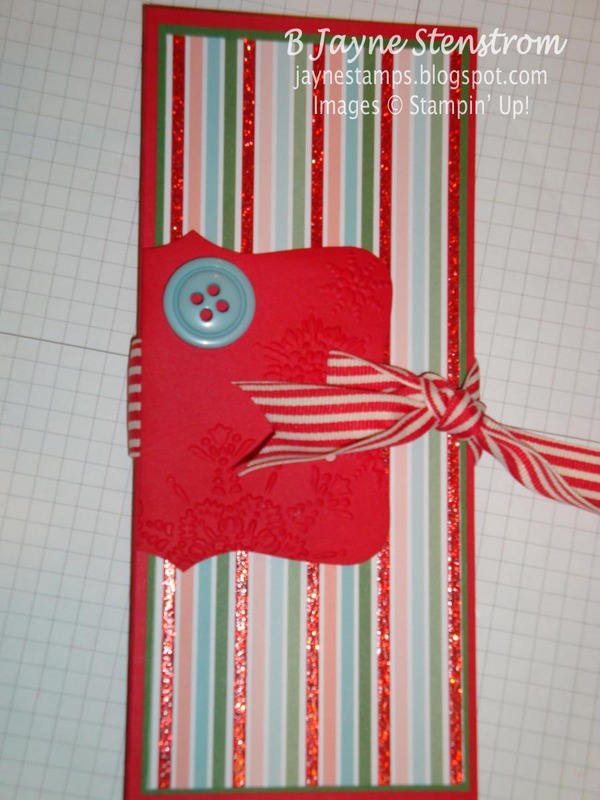 The first project is another one of the Gift Pocket Wallets (original post was on September 29). 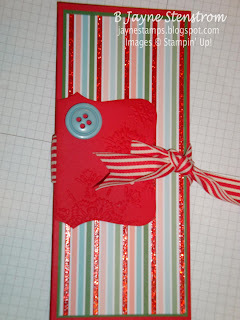 We used the Candy Cane DSP - everyone chose which one they wanted to work with. This is my almost completed one - I think it still needs something on the front but I don't know what. The red piece is cut out with the Big Shot and the Top Note Bigz Die and then embossed with the Northern Flurry Textured Impressions Embossing Folder. Can you see the snowflakes? Here is the inside with a sample gift card. We adjusted the dimensions just slightly so that it was only about 1/2" wide on the spine side rather than the original which makes it about 1" wide. I decided that I didn't need it that wide because I wasn't putting anything thick inside. 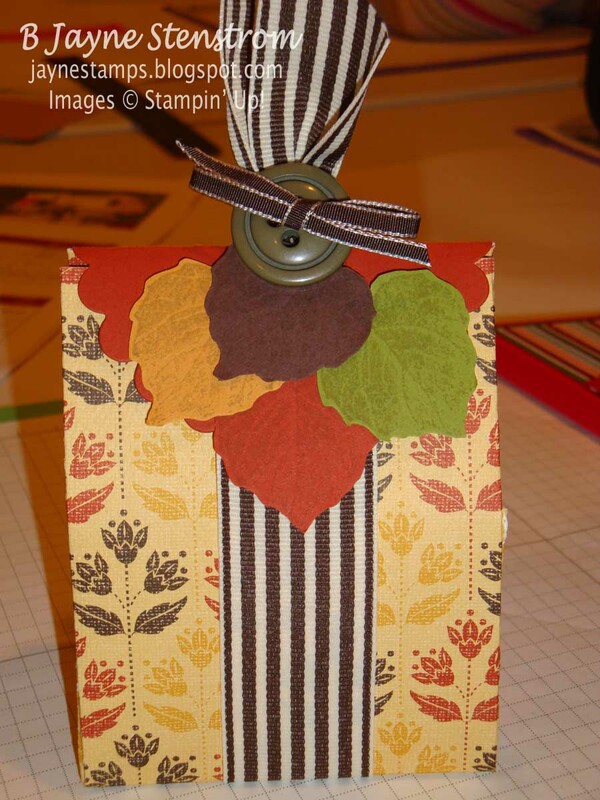 Here is an adorable little gift bag/box that was made from just one sheet of 8-1/2" x 11" DSP. 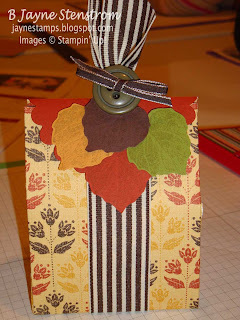 It's called a "One Sheet Cute Box" and the pattern came from Madeline Morcelo. You can find her instructions here. And here we are at the end of the evening. Jerry came home just in time to snap a couple of pictures before we broke up for the night. Going from left to right are Diane K., Emily M., Judy H., Sara B., and me. Can't wait to get together with my girls again soon! We're actually planning on making coaster calendars next week before I have surgery. I'm looking forward to it!